I get asked this question all the time. It seems like every foreigner who is taking a trip to Havana is torn between spending time in Vedado or Old Havana. When most tourists think of Havana, they have the image of Old Havana in their head. They imagine tight, cobblestone streets. Open air bars and restaurants at every corner. Music streaming out of open windows. Dilapidated buildings. Streets filled with old American cars. People everywhere, walking and speaking Spanish. Well, to be honest with you, you can find many of these things in Old Havana, but you should know that your expectations will probably be different from your reality. Old Havana still has the tight, cobblestone streets. The bars and restaurants. The music, old buildings and cars. But, it is filled with tourists. All those restaurants are tourist restaurants, where no Cuban would ever go. Honestly, there is more English and German spoken on the streets of Old Havana than Spanish. The few Cubans which are in Old Havana, are working in gift shops and souvenir stores, or working as hustlers (Jineteros) trying to glean a bit of money off of tourists. I have said it many times, Old Havana is a wonderful place. A UNESCO world heritage site. It has many museums and attractions. But ultimately, it is the biggest tourist trap in Cuba. That’s not necessarily a bad thing. But you should know and understand it, and adjust your expectations accordingly. In my opinion, Old Havana is a wonderful place to visit; but I would not want to spend all my time there, much less stay in a hotel or casa particular there. If you really want to get to know Cuban culture, without leaving Havana, your best bet is to experience Vedado. It’s a more modern and affluent neighborhood, but still packed with bars, restaurants, music venues and, best of all, regular Cubans. There are hundreds of fun things to do in Vedado, and I will list many of them below. How Far is Vedado from Old Havana? Havana in general is a small city. You can walk from the port of Old Havana, all the way to Vedado in about 45 minutes. In this distance you would pass through Old Havana, Central Havana, and arrive firmly in the middle of Vedado. The distance from one end of the city to the other is only about 3 to 4 kilometers, (2 to 2.5 miles). So, with this in mind, it really does not make a huge difference where you stay in the city, since you will always be close to whatever you want to see. In a taxi, you can easily get from one end of the city to the other in about 10 minutes, and the cost would be about 3cuc ($3 USD). This is a good list of things which you can experience and see while in the Vedado neighborhood of Havana. 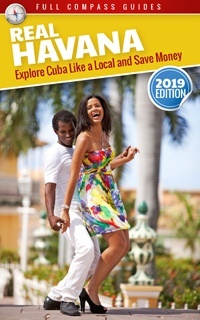 All of these locations are listed in the Real Havana Guidebook. 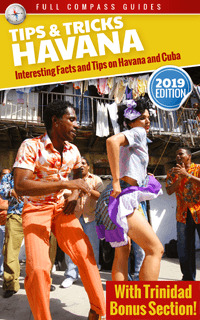 If you like the things mentioned in this list, then consider buying the guide, it’s on special on Amazon.com, and you will have a handy way of exploring the city and checking out some of the best things to do in Vedado. 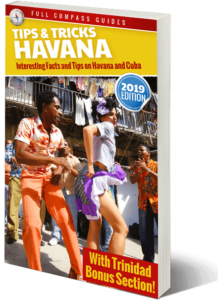 And best of all, the guide is packed with fun things to do in other parts of Havana, like Old Havana, Central Havana and even the suburbs, so you can be sire to always have something to do. Visit Lennon park and sit with John Lennon? Sit on G Street on Friday night and mingle with the college kids. Explore the street food options at some great paladares. Check out the Parque Almendares nature preserve. Visit the Plaza de la Revolucion and take some selfies with Cuban heros. Get WIFI or just enjoy the air conditioning at the Habana Libre hotel atrium. Are there more things to do in Vedado? Of course there are. Vedado is the hippest, most happening neighborhood in Havana. 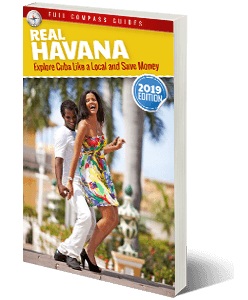 For hundreds of more fun things to do while in Havana, be sure to check out the Real Havana Guidebook. And for a list of the Top 10 Best Things to do In Havana, just click here!